The special design of the circulation switch of this Handheld Metal Detector has the function of switch alarm and hidden respectively noise vibration alarm. Besides it is easy and convenient to use, and can be easily adjust by you. 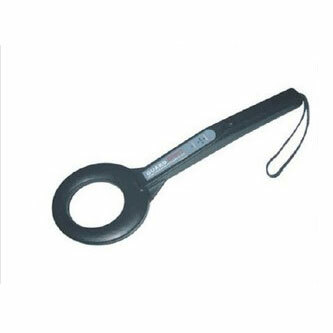 And this handheld metal detector can detect the ferrous and non-ferrous metals because of the high sensitivity. Besides with a rechargeable 9V battery it can work continuously for 40 hours. What’s more, when it detects metal or it has low power it can give alarms to you. Since they are easy to easy to carry, they can be used for security in places like railway stations, airports, prisons and so on. Wanting to know more specific information come here and we will provide you high quality products with best price. The after sales service of your clerk is thoughtful, I appreciate it very much.